Container terminal operator DP World has launched DP World Logistics Australia, a new operating company. 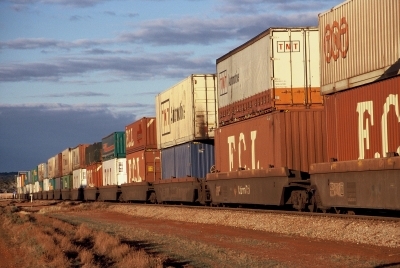 The company will target Australian companies looking for transport and intermodal services. Another new business, Botany Intermodal, will be housed within DP World Logistics Australia. The move into landside logistics is part of a long-term strategy to move beyond the port gate for DP World. DP World Australia managing director and CEO Paul Scurrah said the new DP World Logistics Australia brand and Botany Intermodal business in the Port Botany precinct is an extension of a local and global network stretching across DP World’s 70 international container terminals. “As a critical link in the cargo logistics chain, we’re growing our Australian business in a way that makes sense,” Mr Scurrah said. Mark Hulme will lead the new DP World Logistics Australia business as chief operating officer logistics. Mr Hulme says customers and stakeholders will benefit from improved stability and customer service integration down the logistics chain. “DP World Logistics Australia will offer fast and efficient container coordination, movement, cleaning, repairs, refurbishment and storage services to customers who are transiting container freight into and out of the terminals,” said Mr Hulme.